When do I have to pay the $1000 listing fee? Why do I have to pay half up front? What if I’m not buying another home? Can you still help me? What are the differences between your firm and other “traditional” firms like Coldwell Banker, Allen Tate, etc.? What? You don’t do open houses? Will agents from these other firms be hesitant to show our home? Another agent I met with mentioned spreading the word about my home to the rest of the agents in his/her office. How do you get word out to other agents about my home? Can I sell my home with you and use my friend to help me purchase my next home? Will my home be advertised on all websites? How many photos will you take of my house? Will they be any good? Will you be there during the showings? How long will it take my home to sell? Can we extend our listing agreement if it doesn’t sell within 6 months? Aside from the listing fee and any commission, what will it cost to sell my home? Do I need to have a home inspection or appraisal prior to listing my home? Why aren’t other firms doing things the way you do? I’ve made some improvements inside my home. How does this affect the value? Should I use the average price per square foot of homes sold in my neighborhood to determine my value? What is a Zestimate? Is it a good indicator of my home’s value? A nonrefundable $500 payment is due at the time of listing regardless of whether you are paying $1,000 or 1%. You can pay the $500 by cash, check or credit card (3% fee will be added for electronic payments). We charge half up front because half of our work is done upfront – from taking photos and measurements to putting detailed information (and those photos) onto the MLS. We sure can! Maybe you have an investment home to sell or are relocating to another city or state? We can still help. In these circumstances, we charge 1% (with our minimum being $1,000). So the total you pay is 3.4%. It is still an incredible savings and value to our sellers! We don’t always do open houses and we don’t charge as much. That’s basically it. What? You don’t always do open houses? No. We’ve found that they’re just not an effective way to sell your home anymore. Most people who go to open houses are either neighbors or buyers who aren’t qualified or aren’t serious (“just looking!”). The fact is, most active buyers search for their next home on the Internet, making open houses a thing of the past. However, with that said, if we believe your home will benefit from an open house due to the location or price, we will do an open house the first weekend that we are on the market. With over 10,000 homes on the market at any given time, what are the odds that the 10 agents in a single office have a buyer just perfect for your listing? Slim. So we focus on the tool that works the best: the MLS. It’s the tool all agents in every office use to look for homes for their buyers. No. Because we offer such a competitive listing fee, we require that our sellers work with us as their buyer’s agents to purchase their next home in the area. If you have a friend you’d like to use, why not ask them if they will list your home for $1,000 too? In the Internet age, no one can promise “all.” We can promise that your home will be advertised on all the websites any other agent’s homes will be advertised on. (That’s because all these website feed from the same MLS database. There’s no magic to it, no matter what anyone might imply.) The latest stat was that our Triangle MLS feeds out to over 500 websites. 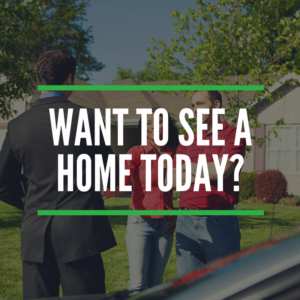 You can’t ask for better exposure for your home. We can post up to 25 photos total on the MLS. We understand that photos are one of the most important tools for selling your home since most buyers will do their searching on the Internet. That’s why we use a professional photographer to take our client’s photos. She does a fantastic job and knows exactly what to focus on. Her services are included in our listing package. We try to touch base with our sellers via email or phone at least every 30 days while the home is on the market. (Selling your home can seem like a lengthy process – pace yourself.) This will usually be concerning a pricing adjustment or home improvement based on the number of showings and feedback we’ve received. Please keep in mind the average time on market is less than 30 days in this market so if we aren’t under contract within that time frame, it typically points to a pricing or condition issue. You can always call our office 919-322-0077 at any time during normal office hours should you have any questions. Once your home is under contract, there will be more frequent communication through our closing coordinator. If you prefer to be contacted more often, please let us know at the time of listing. Most likely not. We may show our own listings once or twice, but in most cases, potential buyers will be accompanied by their own agents. In 2016, the average time on market in Wake County was 44 days. But remember, that’s just an average. The actual time it takes to sell can vary greatly depending on where your home is, its condition and the price. Typically, it should sell within 6 months, but in more rural areas it could take longer. If it doesn’t sell during our six month contract, you can extend another six months without any additional fees OR if you choose to take it off the market for a while, we will relist whenever you are ready for a $100 fee or $200 if new photos are needed. Prorated taxes, attorney’s fees, and state revenue stamps are a few of the fees all sellers are required to pay at closing, no matter who you are listed with. In addition, it’s common for buyers to ask that sellers pay some of their closing costs; we can negotiate this and roll it into the sales price. Buyers will also often ask for a home warranty, which is typically around $500. It depends on the age of your home and how long you’ve lived there. If you haven’t had the home inspected in the last 5 years and your home is more than 15 years old, then yes, we recommend you get a home inspection prior to listing. It ends up saving you a ton of money as you know what needs to be repaired prior to putting it on the market and there are no surprises later on that might make a buyer walk away. As far as an appraisal, it is only the opinion of one person and has no power over what a buyer thinks your home is worth. At the end of the day, price is determined by what a buyer is willing to pay – and what you are willing to accept. Good question. Most agents are in denial that the real estate market has changed, and that their fees have to change accordingly. They try their best to justify why they charge so much, but at the end of the day we just don’t buy it. We beleive we’ll see the real estate world change dramatically in the coming years as more and more sellers look for alternate ways to sell their homes. First the bad news: Spending $5,000 on a new deck will not add $5000 to the value of your home. No improvement will add dollar-for-dollar value. Now the good news: Most improvements, such as new carpet or paint, indirectly add value by helping your home sell faster and at a higher price. Bigger items like a new roof or air conditioning system add value in a similar way, except buyers tend to view them as required maintenance rather than upgrades. Also keep in mind that the condition of neighboring homes on the market, and any improvements they may have undergone, can have an impact as well. The best way to value your home? Compare it to similar homes that have sold recently – homes around the same age, location, size and features (2 story or 1 story, garage versus carport) as yours. We can also give you a free estimate as to what your home is worth. Zestimates are what Zillow.com calls its estimate of your home’s worth. These are based mainly on tax records, and therefore are often inaccurate. Think of it as one more piece of information, but certainly do not let it be a determining factor in considering your home’s worth.